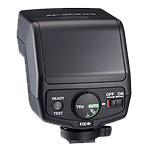 This high-performance clip-on-type dedicated auto flash offers the maximum guide number of 50 (at ISO 100/m) and a wide 24mm angle of discharge. 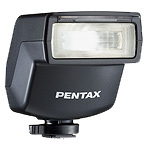 It also features an auto zoom mechanism to couple its angle of discharge with the selected lens focal length, and an adjustable head that swings vertically and horizontally for bounce-flash applications. In addition, it simplifies such complicated applications as trailing-shutter-curtain sync flash, multiple flash and slave flash, while incorporating an AF spotbeam projector to assist the camera's AF system. Adjustable flash head that swings 90 degrees upwards, 10 degrees downwards, 135 degrees counterclockwise, and 180 degrees clockwise. 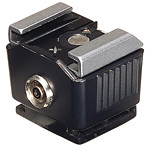 With a large guide number of 36 (at ISO 100/m), this high-performance clip-on-type dedicated auto flash offers extra-accurate P-TTL auto flash, wireless remote auto flash and high-speed sync flash at all shutter-speed settings in combination with the MZ-S, MZ-6 or *ist 35mm SLR camera. It also offers a variety of advanced functions, including trailing-shutter-curtain flash, contrast-control flash and an AF spotbeam projector. Its auto zoom mechanism adjusts the angle of discharge in proportion to the selected lens focal length down to a 24mm focal length. The built-in wide panel further widens the coverage to 20mm. 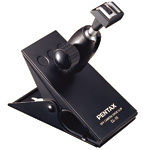 * In combination with the MZ-S, MZ-3, MZ-5N, MZ-5, MZ-7, MZ-10, MZ-30 or MZ-50 35mm SLR camera. ** In combination with the MZ-S, MZ-6 or *ist 35mm SLR camera. 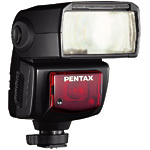 Contact your nearest PENTAX service center for information on compatibility with other PENTAX 35mm SLR cameras. With a guide number of 20 (at ISO 100/m in manual flash mode), this compact, versatile dedicated auto flash features high-precision P-TTL and conventional TTL auto flash functions. Its clip-on design facilitates the mounting process onto the camera’s hotshoe, while the user-friendly dial control simplifies the mode selection process and eliminates the need for LCD panel guidance. It is also equipped with a discharge level compensation function, which slightly underexposes the subject to accommodate the specific characteristics of digital images. It covers an angle of discharge equivalent to a 28mm lens in the 35mm format, while its built-in wide panel widens the coverage to 24mm. Attached to the camera's hotshoe, this adapter lets you position a dedicated flash unit away from the camera body using a F5P sync cord. The flash can be operated alone or in combination with the camera's built-in flash. 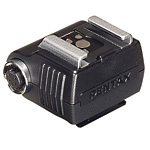 Attached to the camera's hotshoe, this adapter incorporates its own hotshoe at the top to provide an extra flash sync contact for connection with a F5P sync cord. 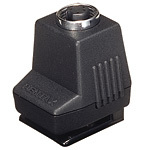 Attached to the camera's hotshoe, this adapter provides a JIS-B-type sync socket at the side and a 2P hotshoe at the top. 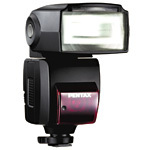 This adapter lets you mount a dedicated flash unit on a tripod in a remote-flash setup. It also provides a terminal for connection with a F5P sync cord. This large clip allows you to quickly fix a dedicated flash unit to a table or chair in a remote-flash setup. 5P sync cords are used to position a dedicated flash unit (such as the AT500FTZ and AF360FGZ) away from the camera, in combination with the Hotshoe Adapter F or FG and the Off-Camera Shoe Adapter F.